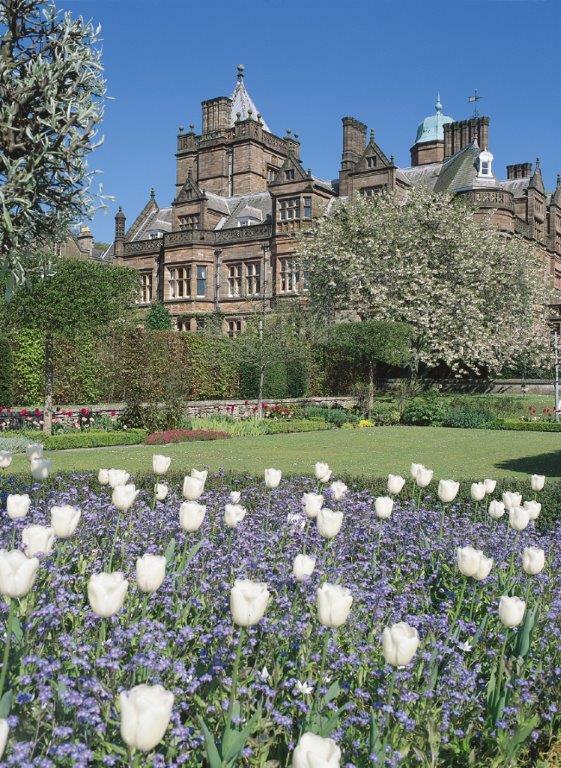 HISTORIC Holker Hall has been named among the top ten most inspiring gardens to visit in Britain this spring by national newspaper The Daily Mail. The hall’s beautiful borders, elegantly shaped topiary and spectacular water feature has long enthralled visitors to the Grade II-listed property near Grange-over-Sands. But this week, the gardens gained far reaching recognition after they were selected as some of the most glorious to be found anywhere throughout England, Scotland, Wales and Northern Ireland by well known gardening expert Nigel Colborn. Nigel applauded Holker for its ‘blend of styles’, stating its 23 acres of formal and informal gardens offered people the chance to enjoy spring colours, massive rhododendrons and rare and ancient trees – including the Great Holker Lime. This magnificent specimen is been listed among the 50 Great British Trees by the Tree Council. The feature went on to urge visitors not to miss the Holker Labyrinth and standing stone circle set within the rolling parkland of the stately home. The circle was designed by the renowned Jim Buchanan who has created labyrinths all over the world. Holker’s gardens are tended to by a team of talented horticulturalists and plants people led by head gardener Glyn Sherratt, who trained at the revered Kew Gardens. Heather Creasey, Holker Hall general manager, said she was delighted their work had received such wide acclaim. “We are all thrilled to see Holker listed among the most inspiring gardens to visit anywhere in Britain this spring. “The gardens and grounds here are constantly changing, there’s always something new to see.